Italian Wine + Food Festival [27 May 2018] | Tickets giveaway! 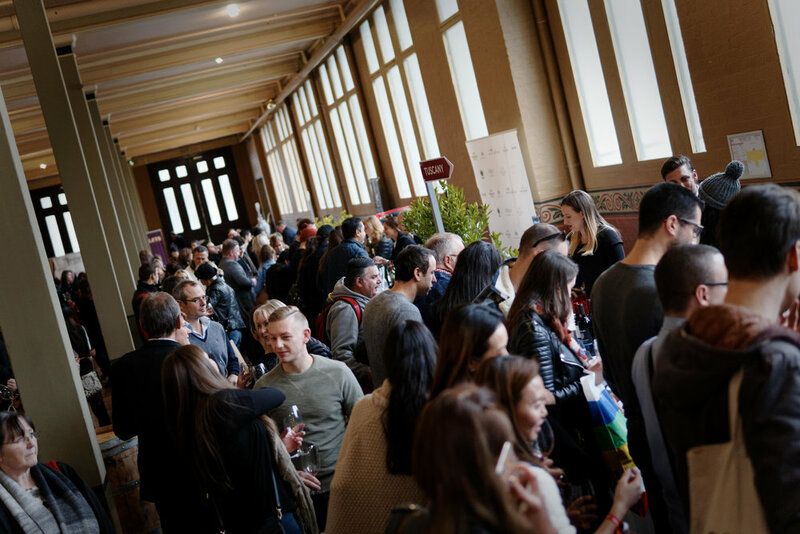 Everything that’s good about eating and drinking in Italy comes together under one roof in May with return of the Italian Wine + Food Festival, with Silvia Colloca (Italian-Australian cook, TV presenter and author) making her festival debut in Melbourne on Sunday 27th May at the Royal Exhibition Building in Carlton. Silvia will be on our main stage cooking on festival day, sharing her love for Cucina Italiano and her secrets for cooking a great meal at home. Melbourne’s top Italian chefs are turning out in force to make it a day to remember, with much-loved locals Joe Vargetto (Mister Bianco + Massi), Francesco Rota (Trattoria Emilia), James Kummrow (Fatto), Dusty Treweek (Bottega), Jesse MacFadden (Massi), Johnny di Francesco (400 Gradi) and Luca Ciano leading the charge. Feast on pizza, pasta, panini and Italian snacks at our pop-up restaurants from Melbourne favourites Bottega, Saluministi, SICILY by Mister Bianco + Massi, La Svolta, Figo and 400 Gradi, plus there’ll be cooking demonstrations with the chefs and providores on the Main Stage. Shop like an Italian in the festival marketplace, brimming with salumi, cheese, pasta, bread, olive oil, pastries, truffles, gelato and much more. Taste your way through Floridia Cheese, Consorzio del Parmigiano Reggiano, Consorzio del Prosciutto di Parma, Pane e Pizzico, Melbourne Arancini, 48h Gnocchi Bar, Abruzzo Lab, Il Panzerotto, Truffle Traders, Nonna’s Meatballs by Purple Emerald Kitchen, Chef Luca Ciano, Maccora Vinocotto, Kyneton Olive Oil, Zero Gradi Gelato, Classica International, Arancini Art, Cannoleria by That’s Amore, Monini Olive Oil, Molecola, Eat Cannoli and flip through recipe tomes curated by Books for Cooks. Espresso di Manfredi are serving up coffee made to order and Mutti are running a Bruschetta Station - both are FREE all day! For the first time in Melbourne Cow and the Moon are serving up their award-winning artisan gelato, and the Tipo 00 Pasta and Molino Pasini Gnocchi Showcases are not to be missed. Kids enter free so you can bring the whole family, and there’s pizza acrobatics by 400 Gradi, plus live music all day. Explore Italian and Aussie-Italian wines region by delicious region, discover your favourite new Prosecco, Barolo, Amarone or Chianti. Meet winemakers and importers, learn all about the grape varieties, the regions, and best of all, how good they taste. Delve deeper with an Italian Wine Masterclass curated by our team, or relax and soak up the atmosphere with a glass from our wine bars in the trattoria style wine gardens. There’s even a kids play area to keep the bambino amused while you enjoy the sweet life. For something stronger, there’s Moretti Beer on tap, or sip on an authentic Italian cocktail from the Aperitivi Bar, serving up Spritz all day! Win 2 x All Day Festival tickets! Gastrology has teamed up with Italian Wine + Food Festival to give away 2 x All Day Festival tickets which include access to the Wine Zone to one of our lucky readers. The best entry, as judged by the Gastrology team, will each win the two tickets! The competition will run until Thursday the 24 May 2018 8:00pm (winner to be announced on this post on Friday 25 May 2018). Only entries made using a valid email address are eligible. Your email address will not be published. This competition is a game is of skill not chance. This giveaway is open to readers in Australia only. Prize is not transferable or exchangeable or redeemable for cash. The Promoter is not responsible for prizes once they have been dispatched to the winner. The image of the prize is purely representative and the actual prize is subject to change. … Congratulations, the winner will be contacted via email.